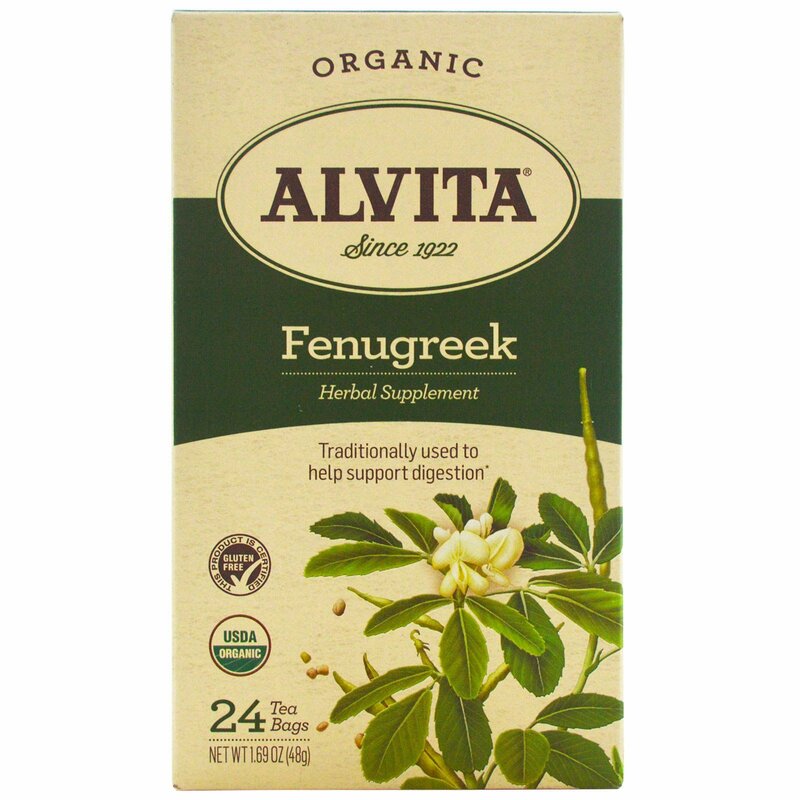 Fenugreek's (Trigonella foenum-graecum) aroma and flavor have given rise to its popularity as a culinary spice. The seeds of the fenugreek plant - whose beneficial properties were first described by the ancient Egyptians in 1,500 B.C. 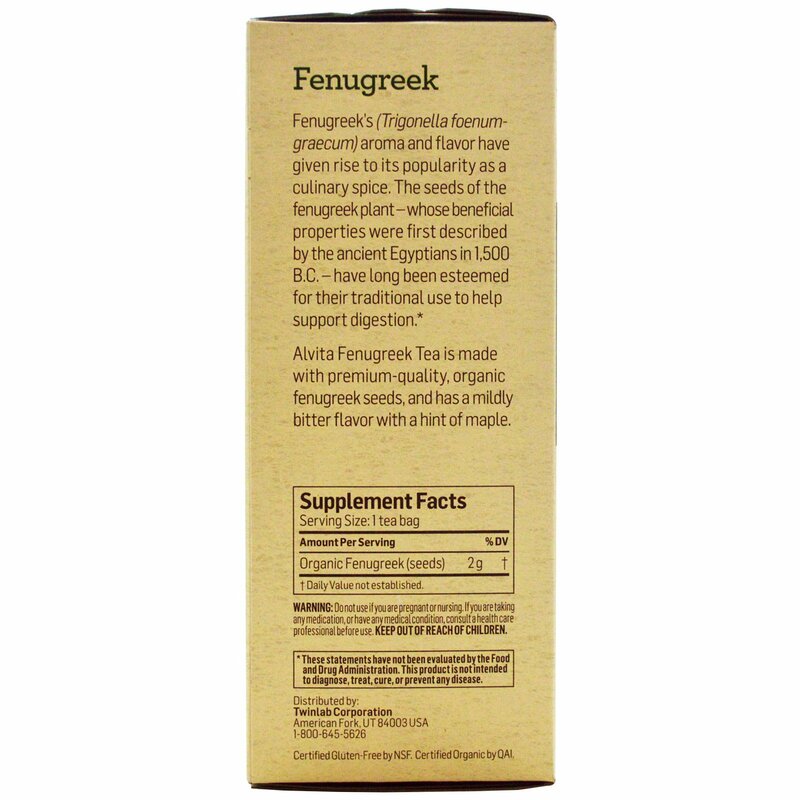 - have long been esteemed for their traditional use to help support digestion. Alvita Fenugreek Tea is made with premium-quality, organic fenugreek seeds, and has a mildly bitter flavor with a hint of maple. Do not use if you are pregnant or nursing. If you are taking any medication, or have any medical condition, consult a health care professional before use. Keep out of reach of children.